and Educational Trust in Burdwan.The Ashram, is the place to practice different aspects of Surya Yoga and Spiritual teachings of Sri Joydip. It regularly conducts programs on Surya Yoga, Spiritual Courses on Wellness , and different aspects of life – Personal Leadership , Parenting , Relationships, Healing alongwith Surya Yoga Therapy Courses for Beginner to intermediate to Advance level. Situated in a busy town of Burdwan over 100,000 people, the Ashram is not a quiet place of retreat, but a vibrant centre of life in a modern urban setting. The dynamic character of the community of Sri Joydip Ashram reflects the dynamic aspect of ashram where all kinds of experiments are conducted on how spiritual wisdom can be applied on different aspects of Life. Work as an offering to the Divine is an essential aspect of the Surya Yoga, and all Ashramites do a certain amount of productive work each day in one or another of the Ashram’s departments. 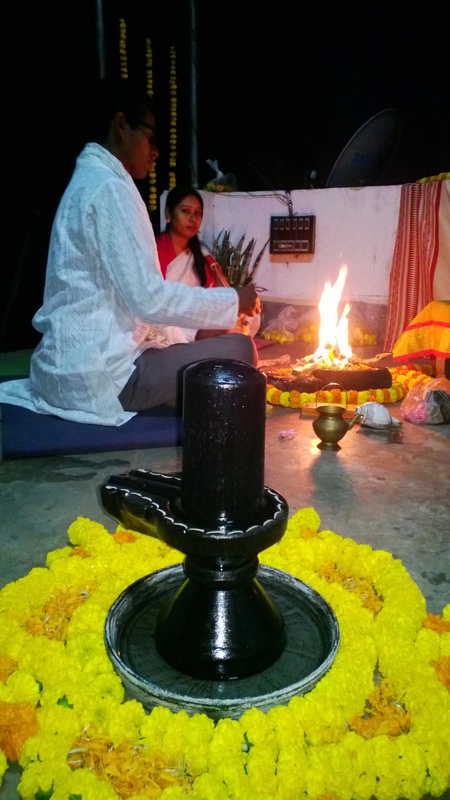 The Ashram is small in size and located in the eastern part of Burdwan. 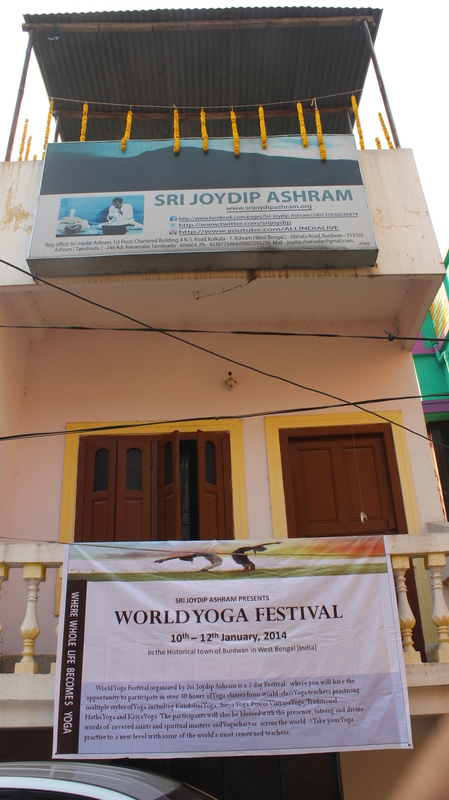 The Ashram is administered by the Sri Joydip Ashram Trust. It has a Reception and Travel desk, taking care of Visitors and Anyadana or Kitchen department taking care of the food , a Training Department and a Training Hall taking care of all the Training Requirement and a Meditation hall in the Top floor for practicing meditation and different aspects of Yoga. and retreats – Navaratri Retreat , Shivratri Retreat , Guru Poornima Retreat , Janmasthami Retreat.